The Urban Environment Service Municipal Company of Gijón (EMULSA) approved the bidding of different investments for an amount close to 900,000 euros. 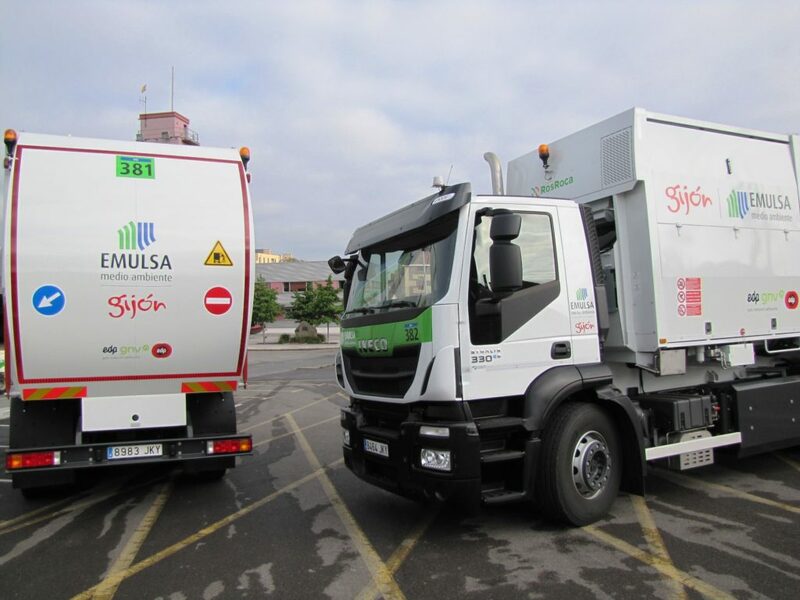 The tender includes the purchase of five natural gas vehicles for different EMULSA services, which will improve the reduction of emissions and fuel consumption, in addition to complying with Euro VI standard. The new NGV fleet include: a truck for the collection service of furniture and furnishings, for a maximum amount of 140,000 euros, and four vans (two for the waste service, one for the signaling and one for the workshop) for a maximum global amount of 160,000 euros. The acquisition of these CNG vehicles is part of the agreement signed between EDP Energía and EMULSA for the use of this clean energy in part of the municipal company’s fleet, reducing emissions and fuel consumption. The agreement between EMULSA and EDP was signed in December 2017 and through this EMULSA it committed to fulfill a plan to add natural gas vehicles between 2017 and 2020. In total, it will incorporate 29 vehicles to its fleet, including light and heavy trucks. In this extremely encouraging scenario for sustainable mobility, where more and more Spanish municipal fleets add vehicles powered by natural gas, AltFuels Iberia 2019 will take place on 11-14 June at IFEMA Trade Center, Madrid. It will be an event consisting of first level conferences and exhibition of vehicles of all kinds, refueling stations, components, plants, road and marine engines, as well as the entire universe of the alternative fuels industry with the latest technological developments, multiple options for networking, business and new advances. For more information, please contact info@altfuelsiberia.com.